No, there’s nothing missing in the post’s title. Thanks to Alicia for suggesting Y as Baby Name of the Day. If you’ve never heard of a single letter as a given name, it might be because the Social Security Administration doesn’t know what to do with them. You must search at least two letters in their database. Yi – a Chinese name – passes the test. So does the Greek Io. But Y is officially one letter short of registering. Y, Alaska is a tiny speck in vast Alaska, not too far from Anchorage. With a population of less than a thousand, you don’t hear much about Y. If you do, you’ll note that the place pronounces Y just like the letter and the word why. Then there’s Y, France, in the northern part of the country. Once again, it is pronounced just like the letter – only in French, so it is ee, like key or gee. If you live in Y, you’re an Ypsilonien or Ypsilonienne. 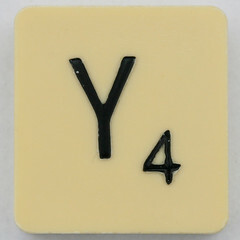 There’s no shortage of other uses of the letter Y, from a nickname for Brigham Young University to the Spanish and. But the use of the letter Y as a given name is elusive. When Alicia suggested it, she thought it might be Gaelic. Was I just missing it, or was it spelled differently in the past? 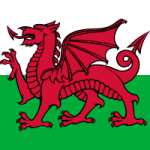 England’s second River Wye is derived from the Welsh Gwy. It’s also recorded as Gvoy and Waie. 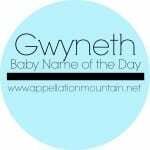 The element gwyn is oft-used in personal names, from Gwyneth to Gwendolen, meaning fair or blessed. There’s also the fast-rising Wyatt. His first syllable is linked to the Old English wig – war – or the French Guyot – little Guy. If Guyot became Wyot in Norman England did Guy become Y? That brings to mind surname Wyeth, sometimes listed as a variant of Wyatt, sometimes as a surname related to Wythe. But that name also leads to a dead end. It all makes for an unsatisfying mystery. There have been men, and a few women, who answered to names that sounded like Y over the years. Doubtless some of them have spelled their names just Y, at least some of the time. But they’re elusive in the historical record. I believe it is possible to give a child a single letter for a given name in the US. But it doesn’t seem like a terribly good idea. The Name Lady recently weighed in on the idea of naming a child just J.R., and her advice was similar. Y is intriguing, but perhaps frustrating to wear. In my family, the first son of the first son is always named John B with no period needed because the B isn’t an initial. The tradition stretches back many generations. We’re Ulster-Scots, so it probably started when someone at Ellis Island abbreviated a B-somethinghardtopronounce name. Just a thought… a ‘Y’ chromosome is needed for a boy. Y is interesting, though completely unusable in my personal opinion. I can just imagine the blank stares Y would get when introduced. On another note, may I officially suggest Yasmin as a Name of the Day? I went to junior high with a guy named “J” … not sure if that was on his birth certificate but that was how he spelled it. Interesting you posted this. Just the other day I was reading a baby name book. In it “U” was listed as a Korean female name meaning “gentle”. Y, however, remains elusive. Y is a stretch … but I’ve actually met someone who named her daughter J Middle. It was a family tradition to have the daughter have a certain set of initials, but she and her husband couldn’t agree on any J- name, and wanted to make sure that she was known as Middle anyway, so it seemed sensible at the time. So I was intrigued by the concept. But I just don’t think it is a good idea. Y jokes aside – several were edited from this draft – it doesn’t seem fair to stop with just a single letter. Cecily, that’s a fascinating article. I probably would’ve named her Ellen! And Yo’s name – whoa! I’m guessing you’d get a few smart comments about “Y? Why? !” if this was your name. I’d definitely chose a longer name, if I wanted my child to go by “Y”. I’m a little confused. Did Alicia know someone whose given name was Y? I’m assuming this must be the case — otherwise it seems like an odd suggestion for Name of the Day. I knew somebody with a McSomething last name whose middle name was J. When he’d submit paperwork for the government, taxes or whatever, they’d alwasy send it back because J was not a valid middle name. So one year he put his middle name as Jay, and they returned it because they didn’t have a Firstname Jay McSomething in the system – just Firstname J McSomething. I actually know someone named “Y.” He wears it well, and I haven’t heard any complaints about it. Not something I would name a child, but interesting nonetheless. There was an article in an issue of Psychology Today magazine a few months ago featuring a family that had named their daughter “E” and their son “Yo.” They chose E in the hope that their daughter would later choose an E- name that suited her taste and go by that, but at age eleven, she still prefers to go by the initial alone. They named their son Yo . . . well, you’d have to read it to understand their thinking (and even then, it will be a bit difficult). That is a really fascinating article. You’re right, I have a difficult time understanding their thinking, although I think both E and Yo are more preferable to the author’s step-daughter’s name — unless, of course, that was a joke. It does strike me that choosing to give all your children such odd names is a plea for notoriety. Hmmm, interesting name of the day! I do know a man named “X” — he is constantly explaining to people that it is not short for anything. I am surprised he didn’t go by his middle name, but he quite likes his name X. One of my college classmates had a grandfather who’s first name was J. When he went into the Army, it caused no end of havoc, to the point where he would often say his name was John or Jay to avoid the hassle. Related, it’s interesting to see the number of organizations that will insist on using NMN instead of a blank if a person has “no middle name”. And here I thought Indigo was an odd choice for Name of the Day! I don’t think letters count as actual names, though it might be interesting to think about which famous people are much better known by their initials than by their full given name(s). I know there are parents who deliberately given their kids a certain name or names so they can call them by the initials – CJ, JJ etc. For someone who is looking for a diminutive name starting with Y, there’s Yve (a variant of Yves), Ysé and Yse, as well as Yann. I’ve met two people named “L” (one male, one female), one named “Z” (male), and a friend-of-a-friend is named “K” (male). Well, on second thought, there are people called Kay, Dee, Jay, Bea, Cee, Elle, Em, and you…. If I remember correctly, when my sister visited Japan she stayed in a place named simply after a letter in the Japanese alphabet. My sister found this rather odd, and said she couldn’t imagine a place in Canada simply called, say, “M”. (However, since Y exists in at least two places, it apparently does happen!) For some reason, her statement brought to mind Graham Greene and the technique he employed in at least one of his novels of just calling his primary character by a single letter. It’s been a long time since I read the work in question, but I believe his object was to remove any identifying features such as cultural background or political leanings. While Wye/Y might be an acceptable nickname for Wyatt (I know a couple of Quentin’s who go by Q), I really can’t see anyone using Y as an official given name. To do so would seem both cruel and beyond unusual. I know this is a super late reply, but fyi your sister was incorrect – Japan doesn’t have an alphabet such as we have and do not have single “letters”. They have characters and using just one of those to name a place is not highly unusual. I’m with Vanessa. It’s reaching a bit. “Y” is this a name topic? Seems a a bit silly. Are numbers and symbols to come soon, can those be considered names?